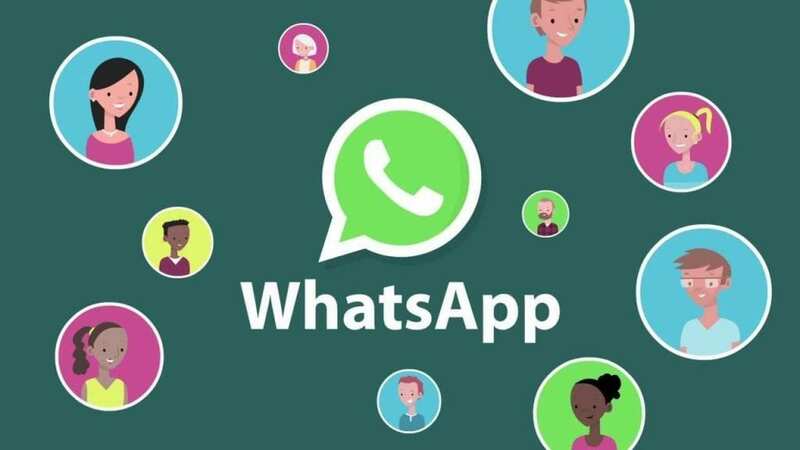 Jiddat Web Desk ::WhatsApp announced a new feature a few weeks back that allows you to control people from adding you to WhatsApp Group chats. Users can stop others from adding them to Groups without prior consent. The feature has bee launched worldwide on both iOS and Android. How to Stop Others from Adding you to WhatsApp Group Chats. First of all open WhatsApp on your phone..Go to Settings, click on Accounts and then Privacy…Click on Groups and then select the option that best suits you ,The option given asks others to first send you invitation that can be approved or rejected. So the new privacy feature prevents others from adding you to any group without permission. If you are tired of being added to different groups without your consent, you can now control it. Update WhatsApp to the latest version and get hold of the new features offered by the company. Jennifer Garner is featured on the cover of People magazine’s annual beautiful issue. Jiddat Web Desk ::LOS ANGELES:- Actress, businesswoman and children’s advocate Jennifer Garner is featured on the cover of People magazine’s annual beautiful issue, the magazine said on Tuesday. Her current “uniform” more often than not is workout clothes, or jeans, a sweater and sneakers, if she is not dressed up for a red carpet or photo shoot.When she does get glammed up, Garner said her kids will ask “‘Can you wash your face? United Kingdom gave a green signal to Block Huawei in 5G Core Parts And Restrict in Non-core Parts. Jiddat Web Desk ::Earlier, the United Kingdom gave a green signal to the Chinese manufacturer for developing 5G infrastructure in the UK, however, security officials were still concerned about the access and authorization. According to the security sources in the UK, the country will block Huawei from developing core-parts in 5G infrastructure and only allow the Chinese manufacturer to non-core parts in 5G infrastructure development, the access to non-core parts will also be restricted Reuters reported. Huawei, on the other hand, assured full support to address all the security concerns UK had, but the recent report raises more questions about the meetings UK security authorities and Huawei had for the last few months. With excessive control and restrictions, Huawei might not be able to close the deal with the UK but if the restrictions are purely for security purposes and are inevitable for the national security then Huawei may take on with it. Huawei has not yet responded to the story; we will be able to get some statements from Huawei about the 5G development in the UK in the coming days. Telenor Pakistan joins hands with STARZ PLAY by Cinepax to bring exciting content experience to users. Jiddat Web Desk ::Telenor Pakistan, one of the country’s leading cellular and digital service provider, has partnered with STARZ PLAY by Cinepax, MENA region’s fastest growing video streaming service, to provide unlimited content with flexible payment methods to all Telenor prepaid and postpaid users. After a 30-day free trial, users can subscribe to daily, weekly and monthly packages through direct carrier billing, i.e. via Telenor mobile balance. STARZ PLAY by Cinepax offers full HD quality premium video content to its subscriber base which is an impressive library of licensed content including favorite Pakistani and Hollywood content including movies, day-and-date premium series, documentaries, and kids’ entertainment. Telenor Pakistan customers can now download STARZ PLAY by Cinepax on their iPhones and Android phones with the ability to register up to five devices per subscription. Jiddat Web Desk ::Food panda Introduced an all-new campaign #HarMoodKaFood ,Picture this – it’s late, like every other night, you’re alone on the couch at home catching up on some TV after a long work day. That’s when you start to notice you’re craving something sweet. You promised yourself last week that you’ll be healthier and stop eating dessert every night. Perhaps just this time, you can get one brownie instead of an entire box? Maybe if you have just one you wouldn’t feel so guilty. The idea excites you, but how can you get just one brownie delivered? Surely no food delivery app has done that yet? Well, foodpanda can. Introducing foodpanda’s latest campaign #HarMoodKaFood the solution to all of your food cravings, your way! Quickly becoming a staple in the food delivery market, foodpanda offers a wide-range for all of your food cravings as per the changing moods and with their newly introduced Rs. 50 minimum delivery, indulging in your favorite meals are light on the pocket too. Now customers can experience foodpanda in a whole new way by ordering food with up-to a 70% discount with free delivery on 2000+ restaurants across the nation, also on low-budget deals that are exclusively available on Foodpanda. By creating convenience and usability, foodpanda caters to the customer making sure that whatever mood you are in, foodpanda has the food to satisfy your craving. With their new campaign #HarMoodKaFood, you can order-in for yourself without having to pay high delivery fees on your favorite restaurants. With the best experience and the easiest interface, foodpanda provides the right answer in just 3 taps. Whether it is that famous chaat from around the corner or the bun kebab you don’t want to leave your home to get. Whether it’s the end of the month, or the end of the day. Whether you’re craving something sweet or something savory, foodpanda has it all. Find your food, your way with Foodpanda. 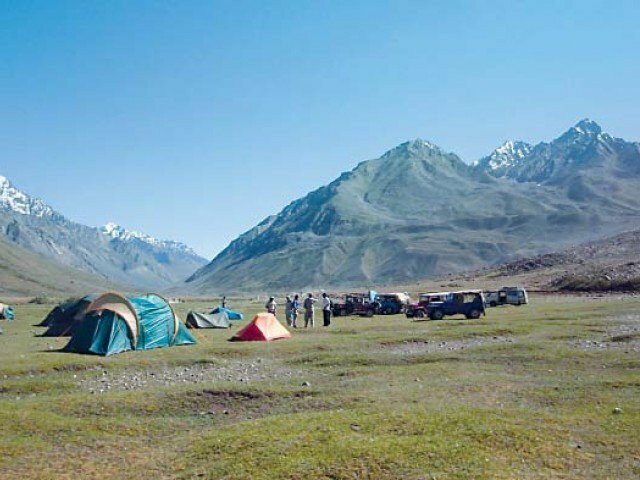 Pakistan has huge potential in the tourism sector with many attractive tourist destinations. Jiddat Web Desk :: In its first conference on “Potential of Maritime Tourism Development in Pakistan” held by the National Institute of Maritime Affairs(NIMA)Pakistan has huge potential in the tourism sector with many attractive tourist destinations. 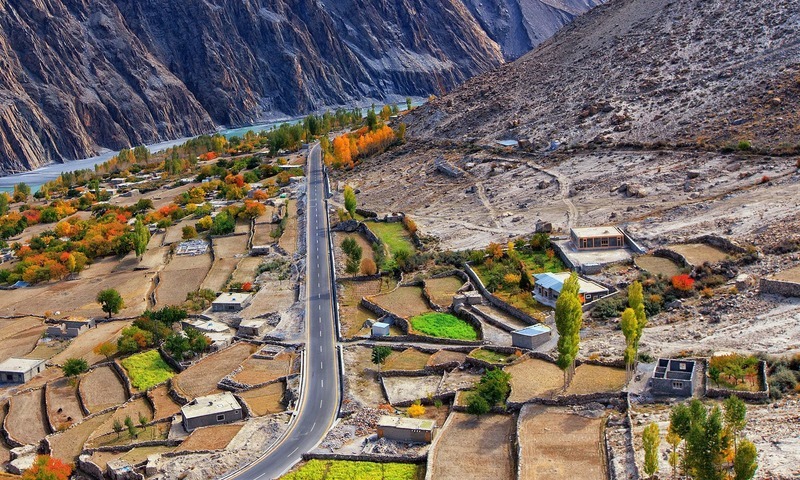 There is a huge untapped potential in Pakistan as the government has not been able to develop a 1,040-kilometer long coastal area from Sindh toward Balochistan for last many decades. It is essential that federal, Sindh and Balochistan governments work on a Maritime Tourism policy. It must be considered an essential element of the Blue Economy. 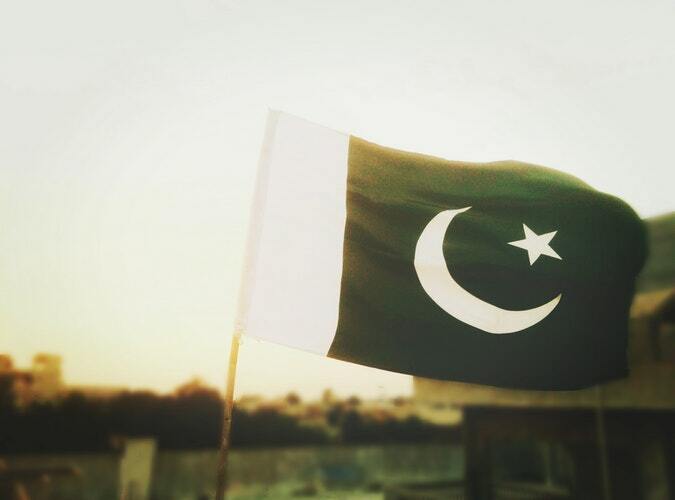 With the increasing amount of unemployed youth in Pakistan, it is important that tourism opportunities are grabbed. “Potential of Maritime Tourism Development in Pakistan” conference was held by the National Institute of Maritime Affairs(NIMA). The President Sustainable Tourism Foundation Pakistan Aftab ur Rehman Rana is basically a natural resource-based industry and it has an impact on the air, land, and water. If the planning, development, and operation are not done properly it can damage the natural systems. Thus he said it is important that the tourist facilities are designed with quality and utility and build in local style. Environment-friendly technologies are encouraged. During the presentation Ex-DG National Institute of Maritime Affairs Vice Admiral Asaf Humayun said that ocean and the maritime environment has now become the fastest growing areas of the global tourism industry. The Maritime tourism is defined as those recreational activities that involve the sea’. He said that the Maritime sector development is essential to Pakistan’s future. Mr accidental chairman, where did PM say Japan is neighbouring Germany? PM said border regions of Japan and Germany have joint industries which you failed to grasp and so does few intellectuals, What a waste of stolen Public money on your oxford degree!!! French shoe designer Christian Louboutin is inspired by Pakistan’s tribal frontier ‘Chappal’ and has decided to take it global. Jiddat Web Desk ::French shoe designer Christian Louboutin is inspired by Pakistan’s tribal frontier ‘Chappal’ and has decided to take it global. There was an uproar on social media when last month Louboutin announced via an Instagram post of the release of the shoe. Critics were apprehensive about it while fans praised this initiative. The sandal called ‘Imran’ is inspired by Pakistan’s s traditional Peshawari chappal with metal studs and colors of orange and silver as claimed by the fashion house. The chappal has been a symbol for ethnic Pashtuns living in the northwest of Pakistan. Louboutin in a statement said, “My designs often pay tributes to artisanship, craftsmanship, traditions or various cultures. The world and its diversity have always been the core of my work. Priya Prakash Varrier’s Birthday message for Roshan Abdul Rahoof leaves internet thinking! Jiddat Web Desk ::Priya Prakash Varrier’s message for Roshan Abdul Rahoof leaves internet thinking! So it was ‘Oru Adaar Love’ star Roshan Abdul Rahoof’s birthday and internet’s ‘Wink Girl’ Priya Prakash Varrier had to wish but her lengthy message surely set tongues wagging. The ‘Sridevi Bungalow’ actress did three posts, one wishing Roshan Abdul Rahoof on his birthday, but the other two posts, especially the one with a lengthy message, has everyone claiming that now the couple’s “relationship is official”. “I’m not really good with words.But today I’d like to thank you for everything that you’ve done for me.You are the only one who always stood by me no matter what.You risked yourself for that each and every time. I don’t think I can ever make it up to you. But I want you to know how much you mean to me.Ummm you already know that your worth is beyond these words.So, I wish you all the luck in life. Keep shining for me and stay blessed.I promise to do my bit to keep that smile wide on your face always.And finally I promise to promise you all the promises💕,” Priya Prakash Varrier wrote alongside a picture of Roshan Abdul Rahoof.That she promised to “promise him all the promises” has left the internet thinking.